Heart as Arena created by Dana Gingras/Animals of Distinction, goes to the Centennial Theatre in Sherbrooke and La Rotonde/Centre Méduse in Québec City, April 23 and April 25-27, 2013. 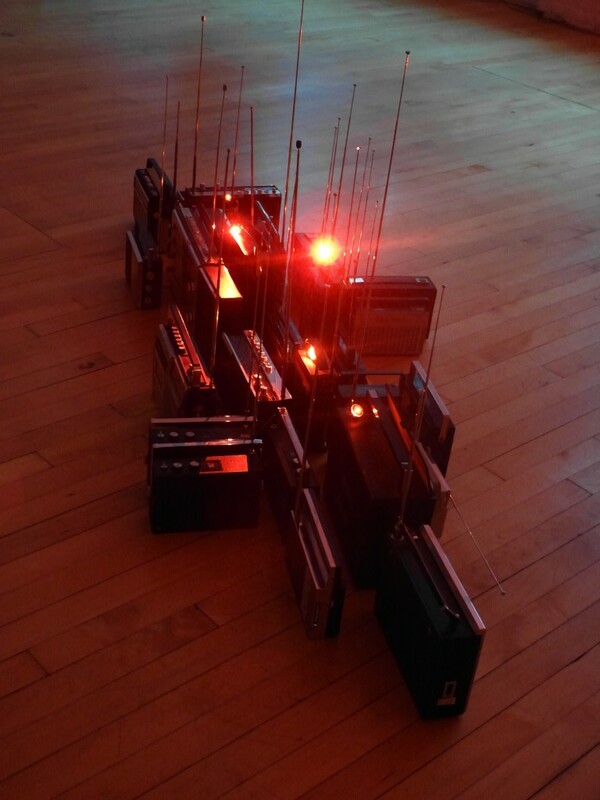 I’m the transmission artist/composer for the piece, so I travel with it too to wrangle les ondes radio turbulents. 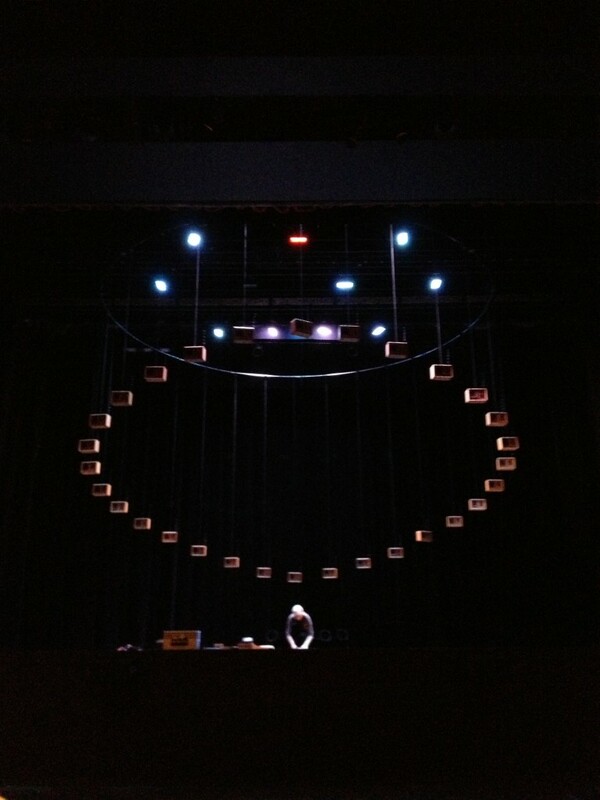 Setting up the ring of suspended radios for the April 23, 2013 show at the Centennial Theatre, Lennoxville/Sherbrooke, Québec. Photo by dancer and costume designer Sarah Doucet. We’re remounting Heart As Arena, a new dance work by Dana Gingras/Animals of Distinction, with radio installation and sound composition/design by yours truly. 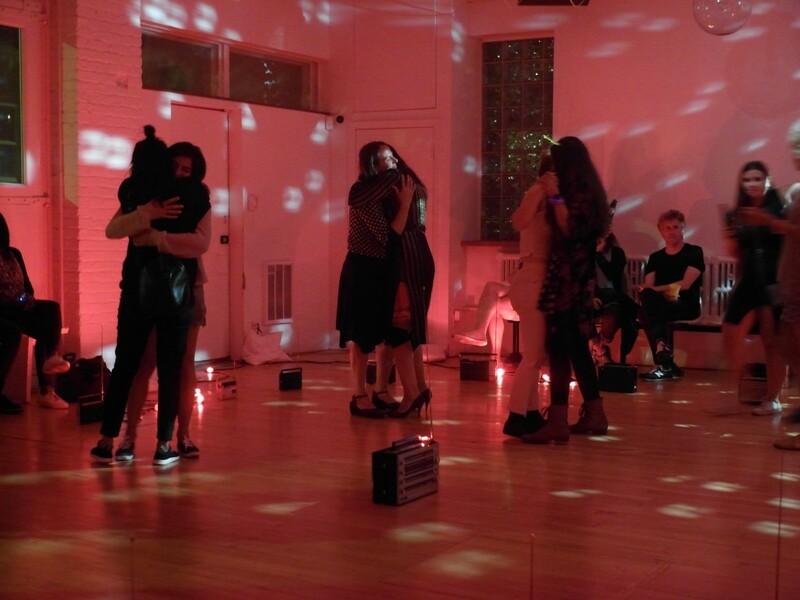 Heart as Arena is a multimedia work for five performers, explores ideas of receptivity, transmission and the secret language of electricity that animates heart, mind and muscle. The work features performers Sarah Doucet (Toronto), Shay Kuebler (Vancouver), Amber Funk Barton (Vancouver), Masaharu Imazu (Montreal/Japan) and Dana Gingras (Vancouver/Montreal). Creative collaborators include sound artist Anna Friz (Chicago), lighting artist Mikko Hynninen (Finland), dramaturge Ruth Little (England), with additional dramaturgy by Daniel Canty (Montreal).